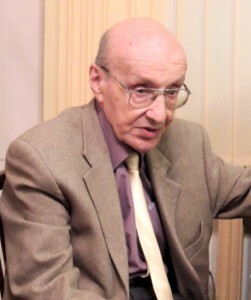 Employees of Saint Petersburg Institute of History cordially congratulate Doctor of Sciences in History, professor, Laureate of the State prize of the USSR, associate researcher of the Institute Aleksandr Zavelevich Vakser with 95-year anniversary. 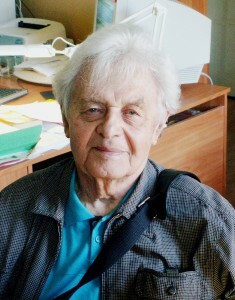 Being a well-known specialist in economic history of the Soviet society and in history of the working class of the USSR he was able to show in his works a rare talent of historian, what became apparent in his ability to think big combined with critical approach to every even the smallest fact. All this made his articles and books interesting both to specialists-scholars and to ordinary readers. One can’t underestimate magistral talent of Aleksandr Zavelevich, who nurtured several generations of students-historians at Herzen University. We cordially congratulate our colleague with this jubilee and wish him be safe and sound, new creative achievements and prosperity. On November 23-24, 2016 at Moscow State Regional University and Moscow Provincial Archival Centre Interregional scientific and practical conference “Civil Servants of Russia in Past and Present: Regional Aspect” took place. Saint Petersburg Institute of History of the RAS was one of its co-organisers. At the conference problems concerning the role, general and special features of Russian civil servants of 19th-20th centuries; their education and career have been discussed. On November 24, 2016 at Moscow Provincial Archival Centre the exhibition “Functionary, manager, bureaucrat in Russia in 1800-1980-s” has been opened. Its idea was proposed by SPbIH of the RAS. Genuine documents and copies from archives of Kaluga, Leningrad, Moscow, Tula and Yaroslavl regions depict activities and everyday life of civil servants in 19th-2th centuries. The Polish Institute in Saint Petersburg, Saint Petersburg Institute of History of the RAS and the Institute of History and Political Science University of Białystok announce the completion of the 9th Open Contest “Topical Science”. On November 24, 2016 the results of the contest have been summed up. The first prize has been granted to the first year student of the masters program of the Lomonosov Moscow State University Nadezhda Sergeevna Kucher. 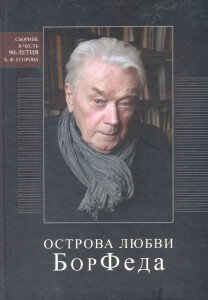 On 90-year anniversary of an outstanding Russian scholar Boris Fedorovich Egorov “Rostok” publishing house issued a collection of articles “Ostrova Liubvi BorFeda”. The book includes articles, essays, poems, memoirs by prominent figures of science and culture, colleagues, disciples and friends (among them: A.S. Kushner, V.E. Bagno, A.V. Lavrov, etc.). These works mostly examine the works of Russian classicists from metropolitan Ilarion to Leonid Panteleev and Oleg Chuhontsev. The book will be of interest to people, eager to know more about literary and social movement of 19th–20th centuries. On November 9–11, 2016 was carried out the 7th International Scientific Conference “The Nansen Readings” (“Nansenovskie Chteniya”) organized with the participation of Saint Petersburg Institute of History. 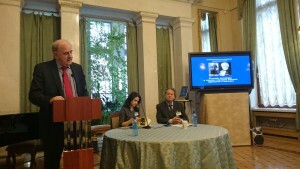 This time complex scientific issue “Russian abroad in search of the future of Russia” has been discussed. More than 60 participants delivered their reports on such problems as the future of Russia in works of philosophers and ideologists, in minds of people from different social strata, periodicals of the Russian diasporas, etc. On Eurochambers resolution signed on October 7,2016 D.Sc. in History V.M. Paneyakh was granted with Diploma di Merito 2016 (science, culture and education). Friends and colleagues cordially congratulate him and wish to be safe and sound.